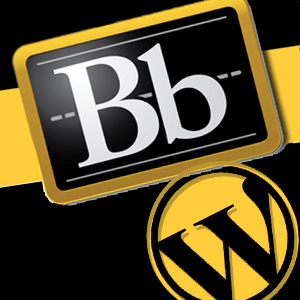 As summer semester comes to an end, we are in preparation to upgrade to the latest service pack for Blackboard Learn. On August 10, 2012 there will be a maintenance window to upgrade Valencia to Blackboard Learn 9.1 SP9. The majority of the functions will remain the same as our current version (SP6) with a few new features that are noted below. Blackboard will be unavailable on Friday, August 10, 2012 at 12:01 a.m. until Sunday August 12, 2012 at 11:59 p.m. due to maintenance to the system. This will include the upgrade to Service Pack 9. The guide puts some help resources, and access to the new Course Themes and Course Structures (which I’ll go into more detail on in future posts), and can easily be suppressed by checking a box in the lower left corner of the window. You can regain access to the Quick Setup Guide by choosing its menu entry on the Control Panel, under Customization, should you wish to. In the upper right corner of any course you are an instructor of, right next to the switch that toggles Edit Mode on and off, there is now a “paint swatch” icon, which will open up a menu listing all the possibilities of Course Themes. Simply click on one of the theme names from that menu and your course will immediately switch to a new appearance. It is now simple to pick differing appearances for your courses, which should aid in forgetting which course site you are looking at when working along in Blackboard. Course Structures allow an instructor to choose from a list of different organizational methods, and then add course menu, content area, and even samples of content that would be appropriate to use with the selected organizational method. Course Structures may be selected as part of the Quick Setup interface, or applied separately from the Control Panel. You can either browse through the screens in a course site, or you can take a look at a listing of all the different Course Structures that are available. All Course-to-Course Navigation allows students and instructors to jump from course to course while retaining the context of the page or task from the original page of any recently accessed course. You will stay within the area or tools of the other course. This navigation tool has the potential to streamline an instructor’s workflow tremendously. For example, if you are in the mood to read discussions your students have submitted, go into your first course and into the Discussion tool. Read and reply to the discussions in this first course, then choose your next course from the drop-down menu. You’re now in the Discussion screen of the next course automatically. You are now able regrade a test in several ways automatically. Ability to delete a test questions and possible points earned. Change point values of a questions for one or several questions and have the grade be auto recalculated for all submissions. Change the correct answer choice of a question, which will regrade all attempts of existing submissions. Allows Instructors to apply negative point values for incorrect answers on assessment questions.